This is the Rosse Observatory where we meet Tuesday and Friday nights from about 7:15pm. The building immediately beneath the dome houses the lecture room. 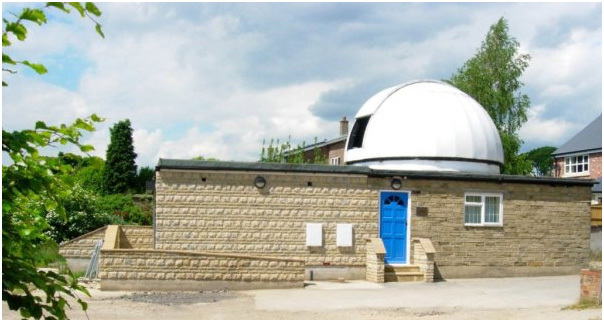 On June 5th 1973 a group of 20 people formed the West Yorkshire Astronomical Society (WYAS) The Carleton Community Centre offered the group a site in the Centre's grounds and granted them permission to build an observatory there. 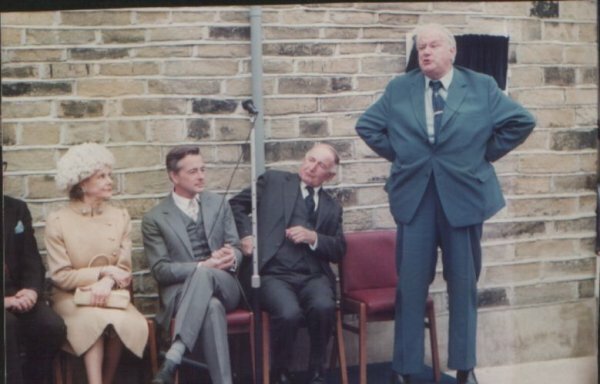 Building started in June 1977 and with member’s hard work over 6 years it was completed and opened by Sir Patrick Moore on the 25th September 1983. An extension specifically built for disabled access housing a computer room, kitchen, toilet and an equipment store was also added making up our current building. Latitude: 53 40 30 North. Longitude: 01 17 14 West.